Cardiovascular disease is a group of diseases associated with the heart and circulation they are among the most dangerous medical problems the human body can encounter and are the biggest killer throughout most of the world. High blood pressure, coronary heart disease, angina, stroke and arteriosclerosis are all cardiovascular diseases. Cardiovascular disease is not limited to those over 65 and it’s not just applicable to men. Post menopausal women are in fact in as much danger of suffering from high blood pressure, strokes and a heart attack. A family history of heart disease will also greatly increase the risk of contracting the disease. 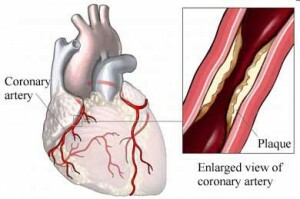 Coronary heart disease occurs when the arteries that supply blood and oxygen to the heart muscle become narrowed by a slow build up of fatty substance in the artery walls. This is called atherosclerosis and the fatty substance is called atheroma. In time the arteries may become so narrow that they cannot deliver enough blood rich oxygen to the heart muscle, particularly when there is a higher demand such as when you are exercising or exerting yourself. The pain or discomfort that results is called angina. For more information see the angina section here. If plaque in the Artery wall breaks off this can lead to a blood clot. If the blood clot blocks the coronary artery then the heart muscle is starved of blood and oxygen, this can cause permanent damage. This is defined as a heart attack. For more information see the heart attack section. Normal blood flow carries oxygen and essential nutrients to the brain, however if plaque forms in the arteries in the neck it can interfere with the supply of blood to the brain. If this blood supply to the brain is cut off through a blocked artery, a stroke may occur. If there is no blood supply then the brain cells will be damaged and the effect is generally irreversible. 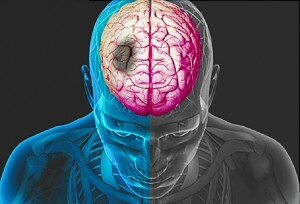 The brain controls everything the body does, so the damage caused by a stroke may affect body functions such as moving limbs, facial paralysis and mental processes. What is the cause of Cardiovascular Disease? The risk of developing cardiovascular disease also increases as you get older. For some reason there are also certain ethnic groups that can have a different level of risk. South Asian’s for example living in the UK have a higher risk than the rest of the UK population. Obviously the more risk factors then the greater is your chance of developing Cardiovascular disease. Research has shown that making simple changes to your lifestyle can have a major effect on reducing your risk of Cardiovascular disease. A healthy balanced diet is essential together with drinking a moderate amount of alcohol will also help to keep a healthy heart. When a person already suffers from cardiovascular disease there are certain surgical procedures that can combat the effects of the disease. These procedures are often quite effective but can be risky and expensive, they also require a lengthy recovery period. Chelation therapy together with diet change and exercise helps to reverse the effects of plaque build up in arteries. It can be administered by IV drip, suppository, pill or a liquid that is taken orally. Cardio Renew’s liquid Chelation therapy is easy to take and it has a higher absorption rate than pills or capsules, it is also a lot more affordable than other forms of the Chelation therapy treatment.